Finally getting around to posting a couple of the sketches from the USK Symposium. I arrived at the sketch crawl at the Arc de Triomf late so I missed the group photo. 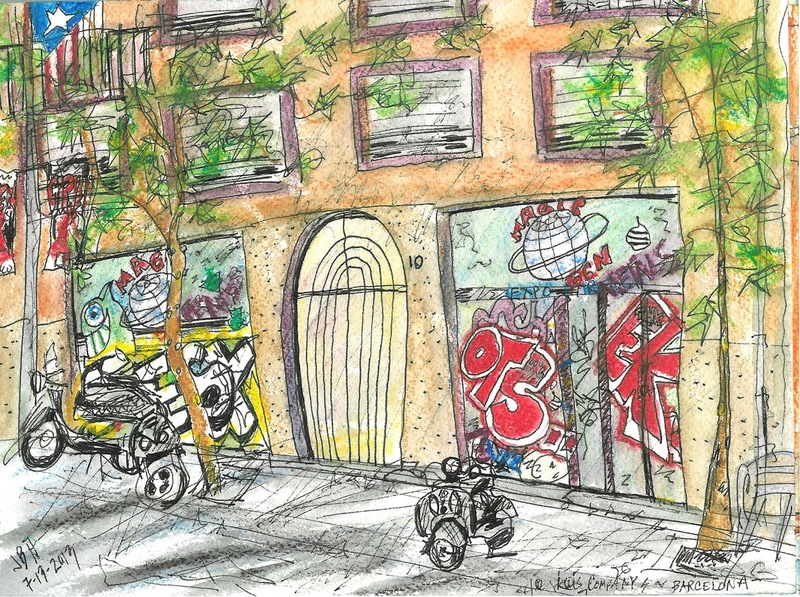 I was fascinated by the graffiti all over Barcelona so this building on Lluis Companys Street caught my eye and I thought a sketch of it would be a nice end to the trip before taking off for Amsterdam. 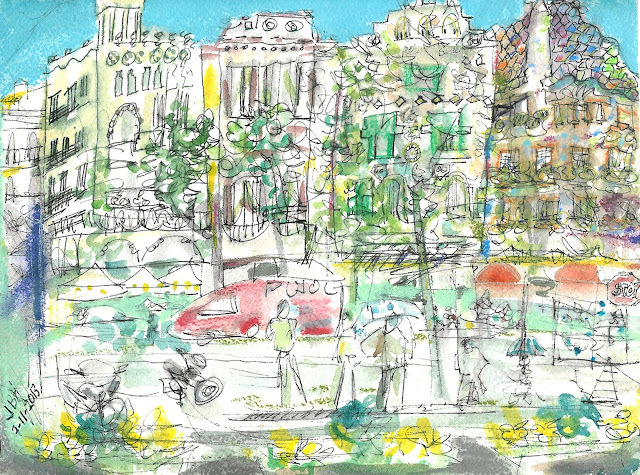 This was the first sketch I did at the USK symposium during Veronica Lawlor's workshop which I loved. The Gaudi house on the right on the L'Illa de la Discordia looked a lot better until it got rained on but it was a fun first sketch right after arriving in Barcelona.